ALL THE KING'S MEN (1949) was one of four movies I saw for the first time at the Arthur Lyons Film Noir Festival. It screened on May 12th, the first full day of the festival. 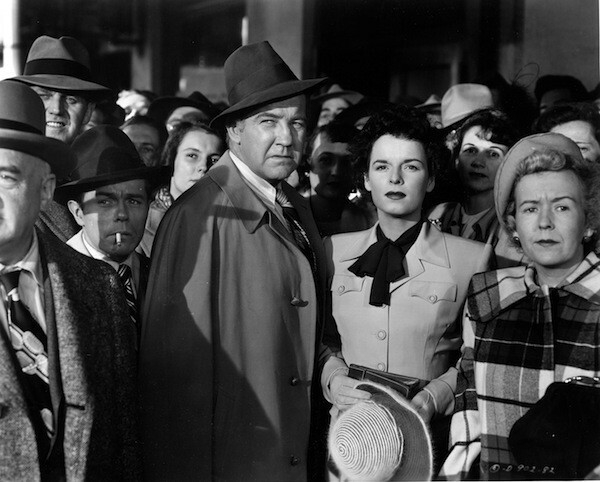 The movie won three Oscars, for Best Picture, Best Actor (Broderick Crawford), and Best Supporting Actress (Mercedes McCambridge). 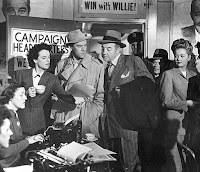 It also received nominations for Best Supporting Actor (John Ireland), Best Director and Screenplay (Robert Rossen), and Best Editing (Robert Parrish and Al Clark). The movie was introduced by Foster Hirsch. I enjoyed all the intros at the festival tremendously, but find Hirsch's approach particularly enjoyable. Like the film professor he is, he poses questions for the viewer to consider while watching, especially regarding more controversial issues; he may share some of his own ideas, but then he encourages the audience to see what they think for themselves and share thoughts with him in the lobby afterwards. It's a neat way to engage viewers while also leaving room for friendly discussion and varied thoughts on dicey topics like politics and atomic energy (a theme of the next day's SPLIT SECOND). 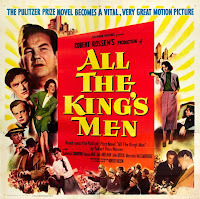 One question Hirsch asked about ALL THE KING'S MEN was "Is this film noir?" 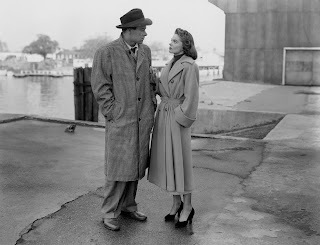 He suggested that it's "not a noir story" but has a "dark noir look," at times a European art house kind of look. I agree, and would add that the final scene of retribution does get quite "noirish"! Hirsch related that the 110-minute film, as initially shot, was significantly longer. 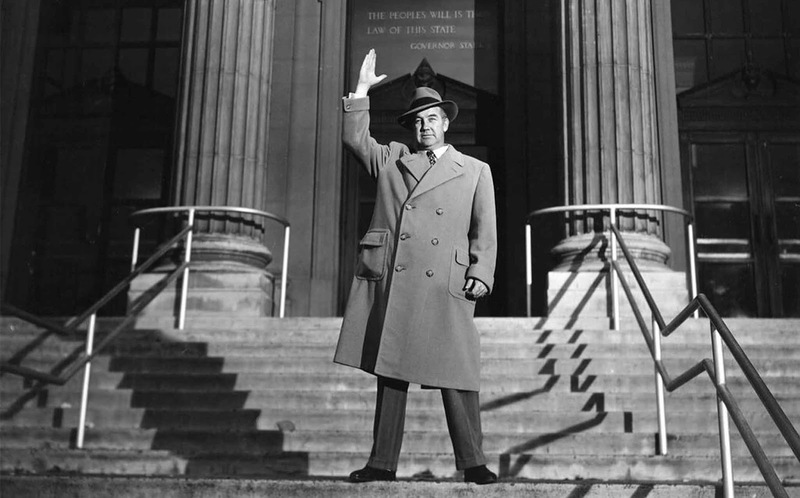 To get the film to its more manageable current length, writer-director Rossen found what he considered the "center" of each scene and instructed the editors to trim 100 feet before and after that section. This meant that characters who are "catalysts," such as those played by Joanne Dru and Shepperd Strudwick, get short shrift, but it does keep the film moving along at a good clip. Any longer and the film would have worn out its welcome, as it's interesting but heavy drama, not precisely enjoyable to view. 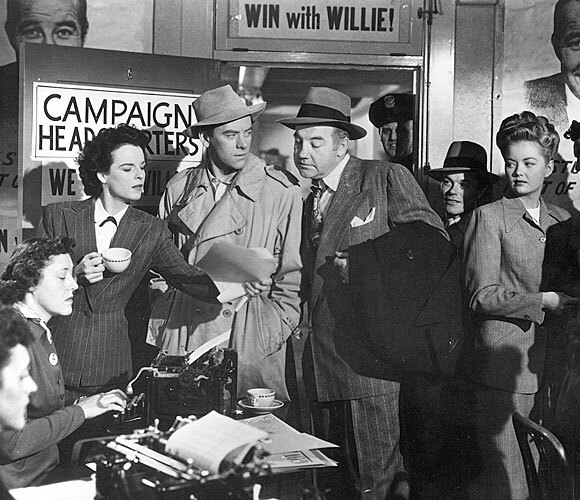 Ireland plays Jack Burden, a newspaper reporter following the career of one Willie Stark (Crawford). Burden eventually goes to work for Stark, a rough-hewn candidate "of the people" who succeeds with his populist and honest platform. The higher he climbs, the less Stark matches the ideals he once preached. He becomes corrupt both professionally and personally, including ignoring his loyal wife (Anne Seymour) and his troubled adopted son (John Derek) while having an affair with Burden's fiancee (Dru). There are many more characters and layers in what is part serious film and part political soap opera, but that's the core of the story. I found it interesting and worthwhile, though I doubt it's a film I'll revisit. The cast are all fine, though I must be frank and admit that I've never understood how Mercedes McCambridge had a film career, let alone won an Oscar. I find her completely uninteresting. Otherwise, Crawford is perfectly cast, and I found the supporting cast uniformly strong. Having just seen Ireland and Dru in RED RIVER (1948) at the TCM Classic Film Festival, I especially enjoyed the chance to see them in this. They married the year this was released and were together until 1957. I know some friends at the festival felt that seeing the film was politically "timely." I have no desire to get into current politics, having sworn off writing about it years ago, but I do think it's important to look at the film through a wider lens. A fair-minded viewer can recognize much of Willie Stark's troubling behavior in past Presidents of the party not currently in the White House, whether it's uncouth behavior, adultery, or a cult-like following. And too many politicians on either side of the fence are Stark-like hypocrites. It's a cautionary tale for all. 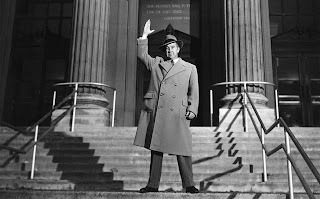 ALL THE KING'S MEN was filmed in black and white by Burnett Guffey; locations included Stockton, California. Rossen's script was based on the Pulitzer Prize winning novel by Robert Penn Warren. This movie is available on DVD, Blu-ray, and via Amazon streaming. Coming soon: A look at the festival's Saturday lineup and a review of SPLIT SECOND (1953), plus photos of a side trip to the Palm Springs Aerial Tramway. Somehow I have missed this film. I should really catch up with it. Love your honesty about Mercedes McCambridge. I quite like her, but she does tend to be overpowering in every role! Thanks, Vienna! I hope you'll find it as worthwhile and interesting as I did. I tend to focus more on what I like about films than what I dislike, but...I really struggle with McCambridge. I always wish her roles were played by someone else. I disagree about Mercedes McCambridge, especially because of her role as villain Emma in JOHNNY GUITAR--more than anyone else, she drives the action of that great film. She is absolutely mesmerizing there. And really, she's usually pretty good. Thanks, Blake! I'm glad for her sake McCambridge has supporters. Obviously a lot of people liked her enough to hire her over the years, but I guess it's just a personal thing that she doesn't click for me.